There can be all kinds of reasons why you may need help with the trees on your property. It may be that a tree is growing too close to your home and you need it trimmed, or part of the tree removed. You could have a damaged tree on your property that hangs precariously over your power lines or garage. Maybe you want some trees removed to flatten out an area of your yard for a new garden or gazebo. Whatever your reasons may be, you need the help of a professional service to do the work for you. When you live in the Sherman Oaks area, you can get the care you need for your trees with the help of a local tree service in Sherman Oaks like us at Your Way Tree Service, Inc. When it comes to caring for trees, experience means a great deal. For tree removal, trimming or providing a proper assessment of the trees on your property and their health, you want someone that has a clear and deep knowledge of trees to do the job for you. Working with trees can be dangerous work that requires expertise so that jobs can be performed successfully and safely. Any company you consider should be one with proper licensing, education and experience in this line of work. When you are considering a local tree service in Sherman Oaks, you want to choose a service that offers the varied services you may need for your property. Some services only offer tree removal, but if your needs go beyond that and you need help with trimming, pruning, aeration, want new trees planted, or need help with diseased or damaged trees, you want a service that can do everything for you. Choose a well-rounded service so you can be sure you get all the help you need from one trusted source. If you are seeking a local tree service in Sherman Oaks for help with your trees, we at Your Way Tree Service, Inc. are just the business you want to work with. We have years of experience in the industry and are fully licensed and certified for tree work of all kinds. 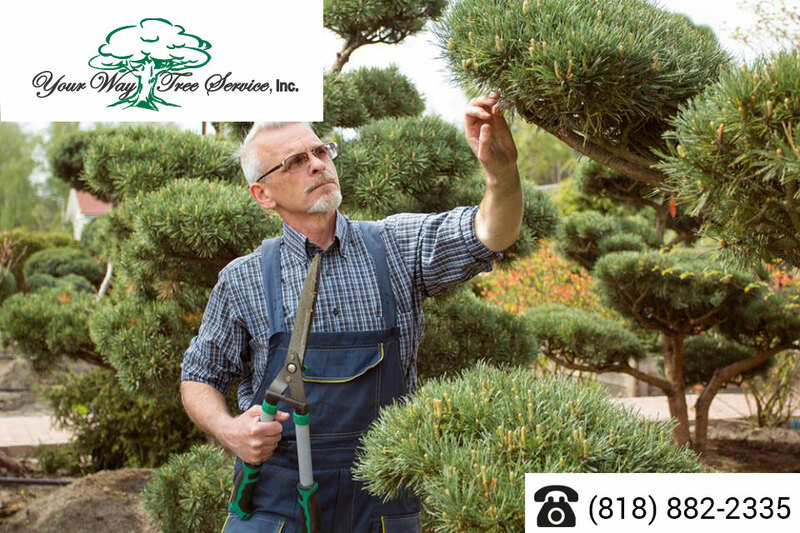 You can find out more about us by giving us a call at 818-882-2335, and we will be glad to speak with you, answer questions, and schedule an appointment for an evaluation of your trees so we can let you know what we can do for your trees.